Charline, a Freedom from Fistula patient in Madagascar features in a recent blog 'The Condition Millions of Women and Girls Are Suffering from and What the Fight Againast It Can Teach Us' on Miss Heard Media. 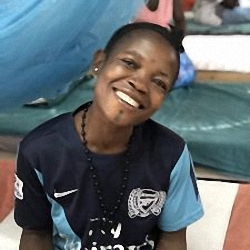 Having suffered a fistula at the age of 16, she was rejected by her community because of her smell. At the clinic she received free surgery to repair her fistula and counseling and skills to prepare her for life afterwards.